Nothing ruins a good first impression faster than handing someone a flimsy or poorly designed business card. Investing in quality cards for you or your business should be an important part of your corporate strategy. Selecting a proven, trusted printer like Area 51 Signs & Designs should be your first step. Design your cards with an experienced consultant to ensure a professional look and feel for you or your staff. Don't choose your card design from a cookie cutter template, your business is one of a kind, your cards should be to! 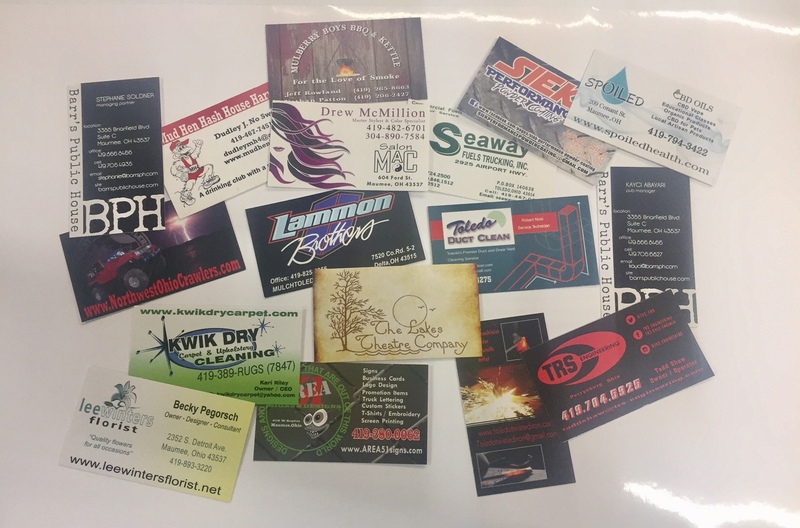 Often times a business card is all someone has to remember you or your brand by. Make sure that your cards reflect an accurate portrayal of your business. Your customization options range from thickness of card stock or special die-cuts to embossed fonts or double-sided printing. Choose the options that best reflect your brand. Copyright © 2019, Area 51 Signs and Designs. All Rights Reserved.